Nothing says holidays quite like laying back in the sunshine, eating an ice-cream and feeling the sand between your toes. But it’s worth being prepared when it comes to entertaining the little ones at the seaside, to make the most of their experience with a few beach games and activities. Of course children will always find things to do at the beach, such as paddling in the sea and building sandcastles (don’t forget the bucket and spade). But depending on their age, they can still get bored. So if you’re planning a day out, it’s worth having a few ideas of beach games for kids, to keep them amused once the tide has washed away their sandcastles and they’re complaining there’s nothing else to do. 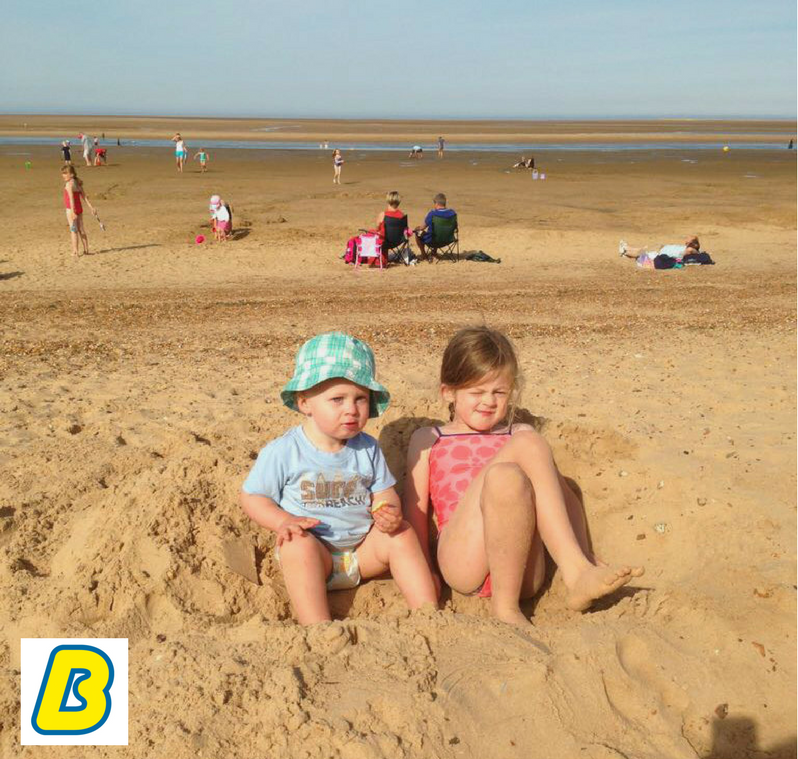 Here are five beach activities which are fun, low cost and always a winner with the kids. Split the family into two teams, with buckets placed at equal distance from the sea, then challenge them to fill their buckets to a certain level with water as quickly as possible – using small cups or large shells. First team to fill up wins. When it comes to fun beach games, this is a great way to build up an appetite for a picnic lunch. If they are feeling less energetic, a sandy beach is the perfect blank canvas for a game of Pictionary. Give the game a Summer theme with words like crab and beach ball. If it’s a particularly sunny day, you could play with the waves lapping at your toes and try to guess the clue before the tide washes it away. Of all the games to play at the beach, this requires no equipment except your imagination, and art skills. Beach ball games are always a winner with children. Whether it be volleyball or a quick game of football on the sand, this will keep them entertained for hours. But if you have a few tennis balls or pocket money bouncy balls, set up a game of bowling by making holes of different sizes in the sand and getting the kids to roll the balls into them. They get points for every hole they make. The best beach games are the simplest ones. And this is a new take on the game of frisbee. Simply set out some targets for the children to try to hit – drinks bottles, a towel, or beach umbrella. Let the smaller ones stand closer to the targets than the older players, to keep the game fair. And perhaps have a points system to see who can score the most – higher points if they hit a smaller target. The beach is a treasure trove of hidden and interesting things. From the creatures who lurk in the rockpools, to the shells and pieces of driftwood in interesting shapes. Armed with a bucket each, either go off in search of random treasure, or draw up a list of things you have to find. These might include: a piece of seaweed, three different coloured rocks, something made out of wood. Of all the fun things to do at the beach, this really adds a sense of adventure.